Kashan carpets are one of the most important of the refined urban antique carpets that are the direct legacy of the Golden Age of Persian Weaving of the reign of the famous patron of the arts, Shah Abbas, in the 16th and early 17th centuries. 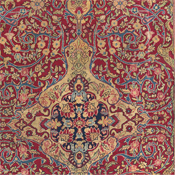 “The 18th century saw little if any production, but towards the end of the 19th century weaving was reintroduced to the city by merchants hoping to emulate the success of the newly established Tabriz workshops” (Middleton, Michael, Rugs & Carpets: Techniques, Traditions & Designs. Mitchell Beazley, London, 1996, p.103). Many of the archetypal Persian carpet designs originated here. The source of one notable garden motif, the “Royal Garden” of Kashan, still has flowing spring water and has been well preserved since the 16th century. This royal garden was built by the above-mentioned Shah Abbas, the principal monarch of the Safavid Dynasty. The basic inspiration and model for most city carpets is the Garden of Paradise. The vast majority of the prized antique and vintage Kashan rugs available today usually stem from the second half of the 19th to the beginning of the 20th century. During this time period, the best antique Kashan rugs were commissioned for individual homes, while others were produced for either the domestic or foreign markets.  The best Kashan carpets have always used a superior quality of wool. 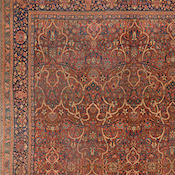 Older antique carpets feature the preferred vegetable dyes, while virtually all Kashan rugs from the 1930’s on incorporate the modern chrome dyes. “The quality of … Kashan weavings is high, and sometimes exquisite rugs were made. 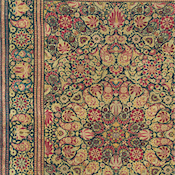 Rugs and carpets were closely woven using a cotton foundation with a Persian knot. The thin double weft is often a pale blue color and the wool is incredibly soft and lustrous … By the early 1900s the weavers of Kashan had mastered the curvilinear designs that are now recognized as typical of Kashan weaving” (ibid, p.103). 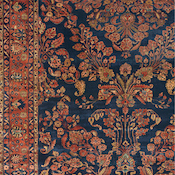 The rarest group of Kashan carpets that utilizes non-traditional designs and color palettes is the “Motasham Kashan,” which were woven up to the end of the 19th century. This elite class of Kashan carpets uses a very luminous quality of lamb’s wool, which gives the surface a highly reflective quality. 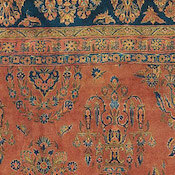 Quite hard-to-find, true Motasham Kashan rugs are extraordinarily finely knotted. They employ either a graceful teardrop medallion or intricately detailed allover blossom and leaf patterns. 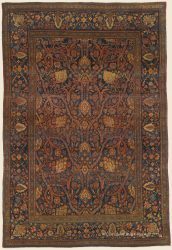 Most prized of all among collectors are the earlier antique Motasham Kashan carpets from this style, dating from the middle of the 19th century and sometimes even earlier. 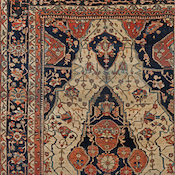 The finest of these Persian carpets usually employ an antique ivory or gold background and feature exceedingly closely shorn pile and extraordinarily fine detail. Their preferred color palette is subtle pastel and earth tones, contrasted by a penetrating midnight indigo blue. Their colors are deeply patinaed, having softened significantly with the passage of time. At the same time, these hues retain a remarkable luster, as the rich lanolin has risen to the surface of each fiber of wool. 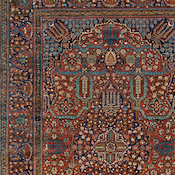 Also, early Motasham Kashan rugs often demonstrate a very sensitive and emotive use of intentional color shading, a technique known as abrash. 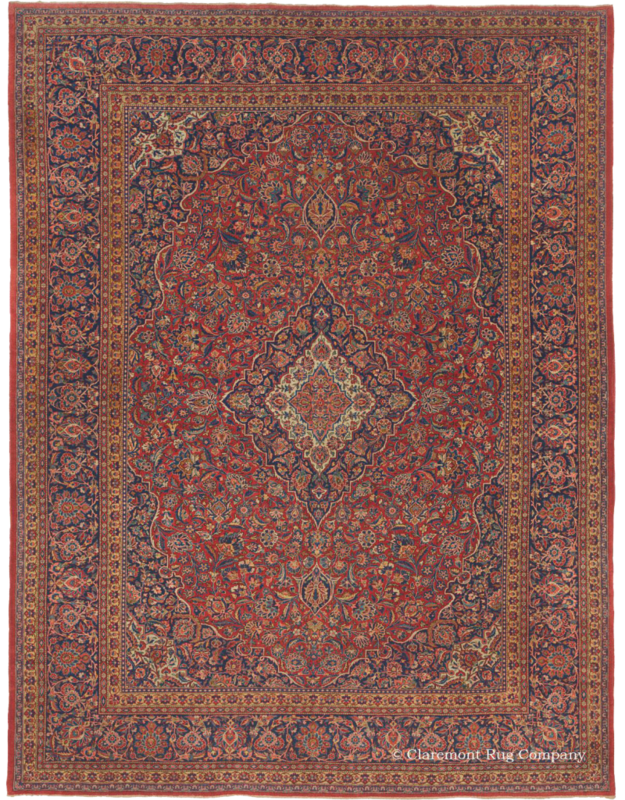 In Motasham Kashan carpets dating from 1850 or earlier, the abrash is usually subtle and continual, with artful colors shifts within a single design and from one end of the rug to the other. 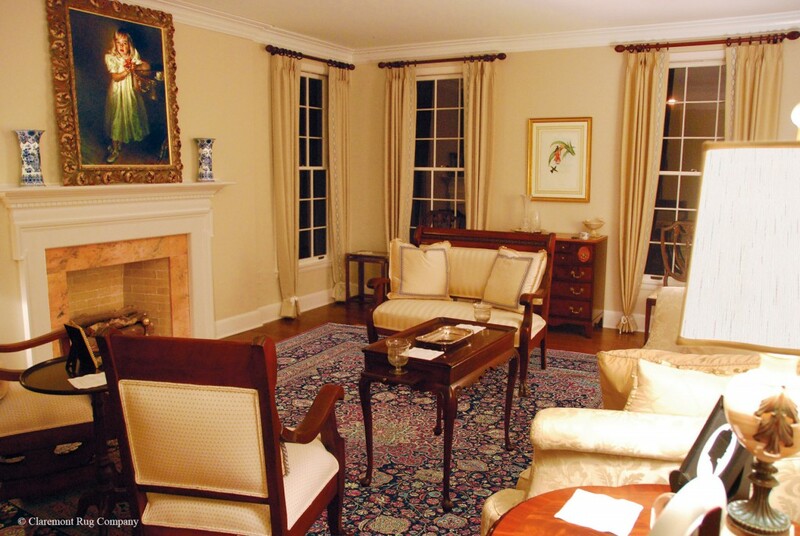 This gives the rug a painterly quality and a visual depth that is akin to that of a watercolor painting. 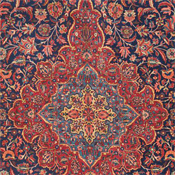 Motasham Kashan carpets of great age with minor to moderate ware, extremely well-executed restoration and some pile intact are extremely rare and typically held in private collections. The best 19th-century and turn-of-the-20th-century Kashan carpets, be they of the Classical or elite Motasham Kashan style, are quite essentially formal, richly continental, and definitively complement a traditional decor. Additionally, they work well in a range of other settings, especially the grand spaces being conceived by today’s creative architects. The finest pieces, if preserved in good to excellent condition and using an appealing palette of exclusively naturally dyed colors, should be considered very solid art investments.